Paul Motian has already surfaced twice in the 129 Essential Albums List, and he'll turn up again. This is the album that I really consider as his, featuring one of the greatest working bands I've had the privilege to experience in a room. For the most part, that room was the Village Vanguard, where Motian, saxophonist Joe Lovano and guitarist Bill Frisell were a beloved fixture for something like 30 years. After Motian decided to stop touring, around 2003, he became even more of a Vanguard staple, almost a mascot. And the Motian-Frisell-Lovano trio was his flagship group, the one that best crystallized his gift for melodic abstraction and plasticized rhythm. Lovano’s tenor saxophone cooed and cried on “Don’t Explain,” nudged along by soft Frisell guitar arpeggios. They played in chorus at the start and finish of Motian’s compositions, which have the pliant, patient certainty of folk songs. 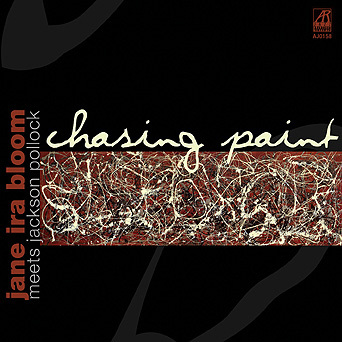 In between were innumerable fine details: Frisell’s spontaneous architecture of sampled zips and pings, the sizzle of rivets on Motian’s cymbal at a pregnant pause. The following spring, ECM released I Have the Room Above Her, a sublime album that capitalizes on the individual strengths of each musician, and the indefinable strength they managed as a unit. This album stands, for me, as one of the ensemble's great statements. I wrote about it for JazzTimes, and I'm enclosing the full review below; my thoughts on the matter haven't changed much, except for the fact that I am all the more convinced of its timeless appeal. It’s been 20 years since drummer Paul Motian, guitarist Bill Frisell and saxophonist Joe Lovano recorded It Should’ve Happened a Long Time Ago, the ECM album that kicked off their trio collaboration. In the interim, the ensemble has worked together more or less steadily: playing to packed Village Vanguard crowds, touring Europe and recording a couple of gems for Winter & Winter/JMT. Still, this return to ECM feels like a major milestone as well as a reprisal. The reason, quite simply, is the music. Motian and his younger cohorts have mastered the art of an avant-gardism that’s abstract but never shapeless, and thoroughly steeped in melodic yearning. Lovano’s tenor is alternately pleading, plaintive or exalting; Frisell employs his guitar as lead voice, harmonic glue and atmospheric scrim. As for their leader, Motian’s minimalist percussion is as subtle and steady as a heartbeat, even when it more readily suggests a cardboard box tumbling down the stairs. Motian composed nearly all of the songs here; the exceptions are the title track (written by Jerome Kern and Oscar Hammerstein for Showboat) and the closing “Dreamland” (by Thelonious Monk, Motian’s lodestar and, briefly, his boss). Not surprisingly, the entire program hews to the drummer’s guiding aesthetic, which might best be described as an exaltation of the subconscious. So we get what sounds obliquely like a border folk song (“Odd Man Out”), a playground chant (“The Bag Man”) and a high-wire balancing act (“Dance”). The A section of “One in Three” is effectively a bedtime lullaby, with Motian’s cymbals rusting the branches outside; the B section intrudes like a disquieting dream. In all the tunes, there are deceptively simple forms, a blend of wistfulness and whimsy and a sense of wonder at the world. Start to finish, this is music for the soul. Purchase I Have the Room Above Her at ECM Records, or stream it on Apple Music or Spotify. Tony Malaby has been an essential tenor saxophonist of this century: a dauntless explorer with no qualms about direct emotional address. His versatility, along with that rarer expressive quality, made him a go-to sideman in the 2000s — with Paul Motian's Electric Bebop Band and Charlie Haden's Liberation Music Orchestra, among others — as well as a reliable catharsis engine on the low-rent New York City club circuit. Malaby has expanded his rep and his purview since, leading excellent bands like Paloma Recio, whose album Incantations I reviewed in the NY Times a couple of years ago. You may have heard him with pianist Kris Davis, or in Fred Hersch's Leaves of Grass, or with the John Hollenbeck Large Ensemble. Or maybe you haven't heard him yet at all — in which case, have I got an album for you. Primarily known as a first-rate free improviser, Malaby has an introspective side that often gets underplayed. But this release firmly establishes the 40-year-old tenor and soprano saxophonist as a subtle melodist and mood-setter. His horn can be elegiac, as on "Dorotea la Cautiva," or quizzical, as on the winding "Cosas." What never falters is the freshness of his solo excursions. For this, he shares equal credit with his distinguished company. Drummer Paul Motian is jazz's sage of small gestures, capable of painting a canvas with one tap of a cymbal. And bassist Drew Gress reinforces his adept solo and support skills. Together this trio has made an attractively modest statement that should win Malaby converts from beyond his experimental base. Motian's role is worth expanding on for a moment. He was in his early 70s when he played on this recording, and already a sought-after elder on the scene. Obviously he had already established a genuine rapport with Malaby. But this album is representative of a larger shift, which I discuss in Playing Changes: as musicians like Motian began to age into a phase of eminence, their influence subtly transformed the character of the music at ground level. Listen to the way that his beat, with its patented sort of halting propulsion, informs "Cosas," which is a contrafact of the ageless standard "All the Things You Are." This track could have felt like a throwback gesture. Not with Motian in the mix. Buy Adobe at Sunnyside Records, or stream it on Spotify or Apple Music. 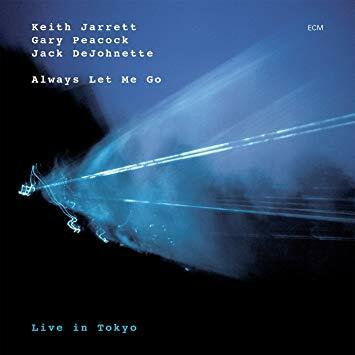 Keith Jarrett looms large in any discussion of jazz over the last 45 years. To track his early movements — from the peace-and-love rhapsodies of the Charles Lloyd Quartet to the post-Woodstock fire of Miles Davis to the inward-seeking clarity of Facing You — is to present a complicated portrait of a culture in transition. Then of course, there's The Köln Concert, which established a popular framework for the existential solo piano expedition. I've seen a handful of Jarrett concerts that inhabit a similar plane, including the one that yielded The Carnegie Hall Concert, about a dozen years ago. When I went about the difficult task of cherry-picking one Jarrett album from the 2000s on, I briefly considered a solo effort. I also thought about Jasmine, his beautifully muted set of duos with bassist Charlie Haden. But it felt more important to acknowledge the momentous tenure of his trio with Gary Peacock on bass and Jack DeJohnette on drums. If you know this group at all, you probably know it as the Standards Trio — and for most of its 30-year reign, that was an accurate description. Jarrett and his crew illuminated songbook ballads, bebop warhorses and other pieces from the common repertory. If you were to pick an emblematic album, you'd maybe go with Whisper Not or My Foolish Heart or, for an absorbing longitudinal study, the 6-CD boxed set recorded at the Blue Note in 1994. But I decided to tack in another direction, choosing Always Let Me Go, recorded in Tokyo in 2001, and released as a double album the following year. Jarrett had already delivered a curveball with Inside Out, the first album of completely improvised material by the trio in an eon. This follow-up carries that practice to its logical next step — proving not only that the language of the band went far deeper than its songbook, but also that improvisers of this caliber can create formal coherence out of true spontaneous interplay. In DownBeat, Thomas Conrad gave the album five stars, a rating typically reserved for a masterpiece. Reviewing for JazzTimes, Mike Quinn acknowledged that "out" was the prevailing ethos of the set. "But what is most captivating about this virtuosic tour de force," he added, "is the way this trio can, on a dime, turn outside in, pulling a melody and structure from thin air, usually at just the right moment, bringing everything back to earth with a bit of bluesy funk, a bit of wistful romanticism, a slice of bop or swing." Earlier this year, ECM released After the Fall, a far more swinging affair recorded a few years earlier, in 1998. Because the Standards Trio disbanded several years ago, this release served as a bittersweet postscript as well as a time capsule; I wrote about it here. What's remarkable about the Standards Trio is that it could contain so many realms without the slightest hint of strain. Here, from Always Let Me Go, is "Tsunami," which illustrates the point. Purchase Always Let Me Go on Amazon, or stream it on Apple Music or Spotify. Cecil Taylor, who died on April 5 of this year at 89, was arguably the single most galvanizing figure in improvised music during the second half of the 20th Century. But it would be a folly to suggest that his genius was somehow constrained by those parameters; he was no more limited by the century of his birth than he was by the standard conventions of the piano. I wrote a critical appreciation in the hours after his death, and I'm not likely to improve on it here. But I'd like to add that while I first began seeing Taylor in the 1990s — at every opportunity that arose, once I arrived in New York — my experience seeing him mostly unfolded after the year 2000. For me personally, he was as much a figure of the 21st century as he was the 20th. Factor in the long shadow he casts among younger improvisers, notably pianists like Craig Taborn, Vijay Iyer and Jason Moran, and and you have a legitimate case for his continuing ascendence in our time. To be sure, Taylor became less accessible, which is one reason that his final two concerts in New York were such major cultural events. (I reviewed one of these, an astonishing solo performance at Harlem Stage, for The New York Times. I wrote about the other one, a residency at the Whitney, for JazzTimes.) He seemed to be receding into a runic eccentricity, leaving us to better ponder a vast and inscrutable body of recorded work. The Willisau Concert was recorded in 2000, at the Jazz Festival Willisau in Switzerland, and released on the Intakt label two years later. It's a solo recital of characteristic sweep and seizure, full of Taylor's trademarks as a tone scientist. The selection here, listed on the album as "Part 2," is a fine distillation of the concert's spirit. There are moments in the track when Taylor seems to gesture toward Duke Ellington, one of his longstanding touchstones. There are other moments when his rummaging feels like an expression of dance, or kinetic sculpture. At every moment there's a clear, defiant sense of articulated form. This is no series of random actions, as some wary appraisals would have it. Taylor was so far beyond that, we're still catching up to him. 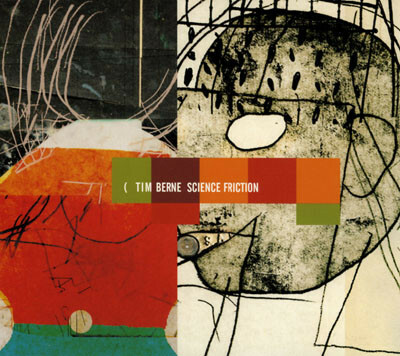 For a few years in the early 2000s, I saw an awful lot of Tim Berne. Mostly in the Old Office space at the Knitting Factory, where the dimensions were tight and the sound could be fierce. At some point in 2001, Berne began bringing around a different foursome. This band featured the gonzo French guitarist Marc Ducret; the quick-flash drummer Tom Rainey; and the revelatory keyboardist Craig Taborn, often using borrowed analog synths and Fender Rhodes. I knew Taborn then as the pianist in James Carter's Young Lionish band of the '90s. Here he seemed to be spiraling out into some outer nebula, expanding the texture and tonality of the band in ways that felt thrillingly in-the-moment, even almost illicit. As you can imagine, I was gobsmacked by Science Friction, the album that this group eventually released. Here was a new paragon of Berne's long-form compositional strategies, with warped echoes of early-'70s Miles Davis, the late-'80s downtown scene, and the eternal verities of the AACM. And whereas Bloodcount conveyed a feeling of sweat and toil, the band on Science Friction sounded elliptically, enigmatically cool, like something that had just tumbled out of the hatch of an alien spacecraft. I can still identify with this impression when I listen to the album today; check out the opening track, "Huevos," below, and see what you feel. Matthew Shipp was on a serious tear in the early 2000s: working hard and fast in the David S. Ware Quartet, which has already appeared in the 129 Essential Albums rundown; curating the Blue Series, a stylish imprint on the Thirsty Ear label; and of course, releasing album upon album of furiously smart improvised music, with an array of heavyweight collaborators. I could have chosen almost any of Shipp's albums from this period and felt secure in my reasoning. But I'm thinking in particular of Pastoral Composure, released in 2000, which kicked off the Blue Series in full stride. It chronicled an excellent free-improvising quartet with Roy Campbell on trumpet and flugelhorn, William Parker on bass and Gerald Cleaver on drums. New Orbit, from 2001, enlisted the same rhythm section with a different trumpeter: Wadada Leo Smith, a powerful elder in the avant-garde, a figure of fierce concentration and unwavering commitment to the moment. Listen here to "Chi," one of the longer tracks on the album, which opens with a trumpet invocation as penetrating and grave as a military fanfare. When the ensemble joins the fray, just over a minute in, it's with a sense of instant communion, as if they've already been silent partners in the exchange. Buy New Orbit at Amazon, or stream it on Spotify or Apple Music. The righteous, prayerful bluster of David S. Ware's tenor saxophone was an important force on the ground in New York at the turn of the century. And I do mean "force" — Ware could project with a physical intensity that rattled the ribcage, if you were sitting close enough in the room. 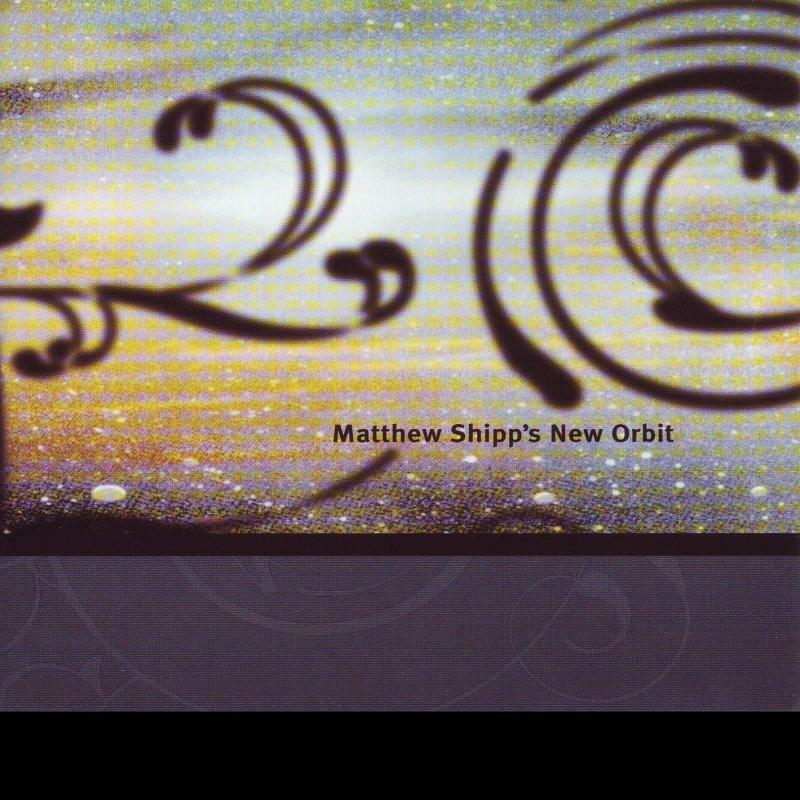 A veteran of the New York loft scene and a catalyst for the perpetual avant-garde, Ware led a phenomenal band in the early 2000s with Matthew Shipp on piano, William Parker on bass and Guillermo E. Brown on drums. (Previous iterations included several other fine drummers.) For a hot minute, this quartet recorded for Columbia Records, as a result of some inspired kamikaze calculation by Branford Marsalis, a label A&R exec at the time. Ware's first Columbia release was the excellent Go See the World, released in 1998 (with Susie Ibarra on drums). Surrendered was the second Columbia release. There never was a third. The intensity of commitment in the DSWQ is apparent on every track of Surrendered. Gary Giddins may have been weighing in on a different record when he issued his famous pronouncement the following year — "Let's be bold: The David S. Ware Quartet is the best small band in jazz today" — but the praise fully applies here. What led me to select Surrendered for the 129 Essential Albums list is its generosity of scope and spirit; this is a DSWQ recording that almost any jazz listener could appreciate, if not for the stubborn preconceptions around "free jazz" or "the avant-garde." There's a version of Charles Lloyd's "Sweet Georgia Bright" on this album, and a calypso that points firmly in the direction of Sonny Rollins. But what drives the whole enterprise is a sense of quest — the same feeling, on some level, that many younger listeners now associate with Kamasi Washington. Listen to "Theme of Ages," and the way that a compact, anthemic theme gradually assumes epic proportions. Just don't try to tell me that this music remains locked in its moment in time. David S. Ware's Surrendered can be purchased on Amazon or streamed on Spotify.